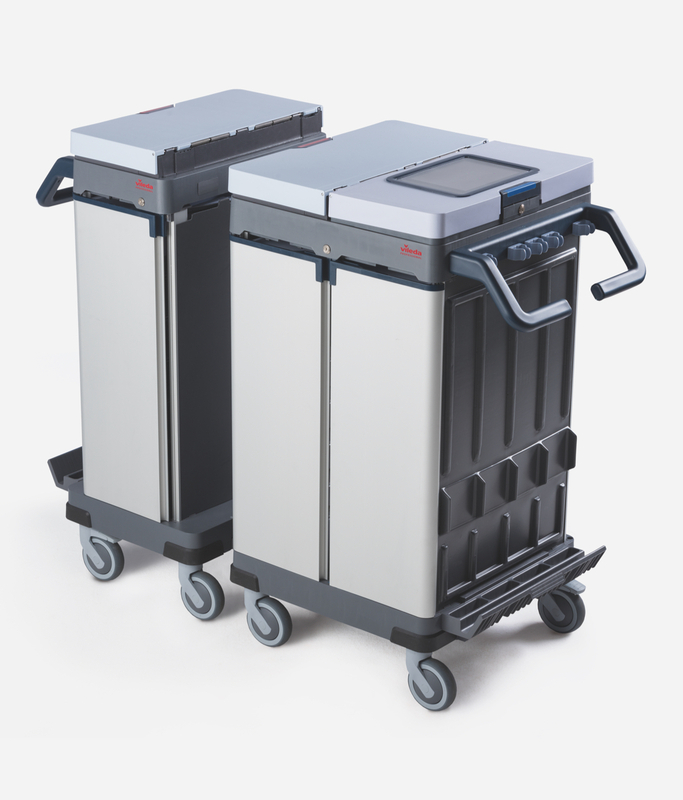 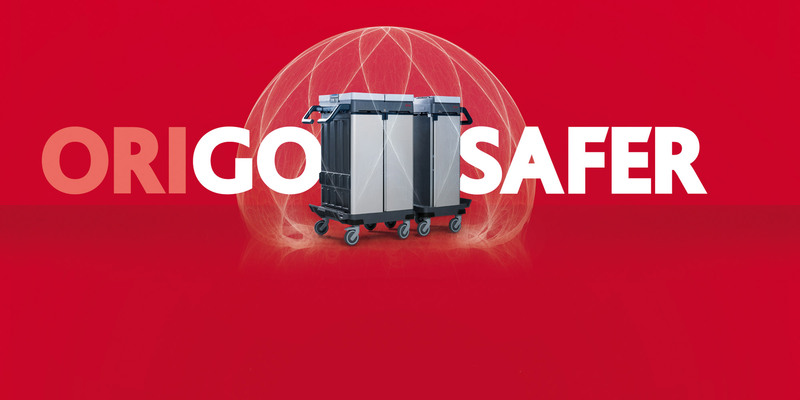 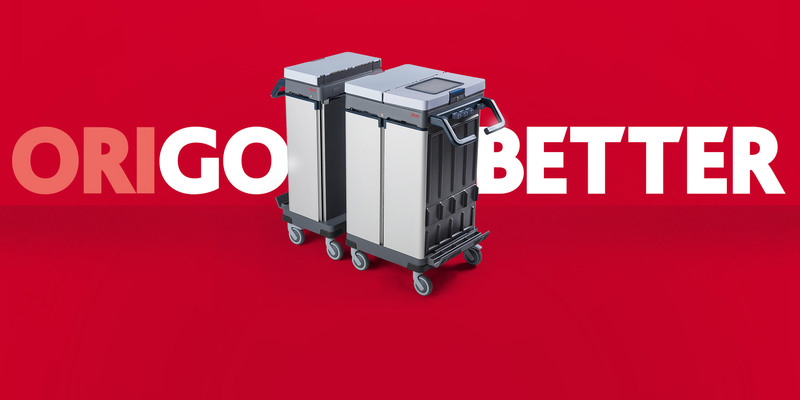 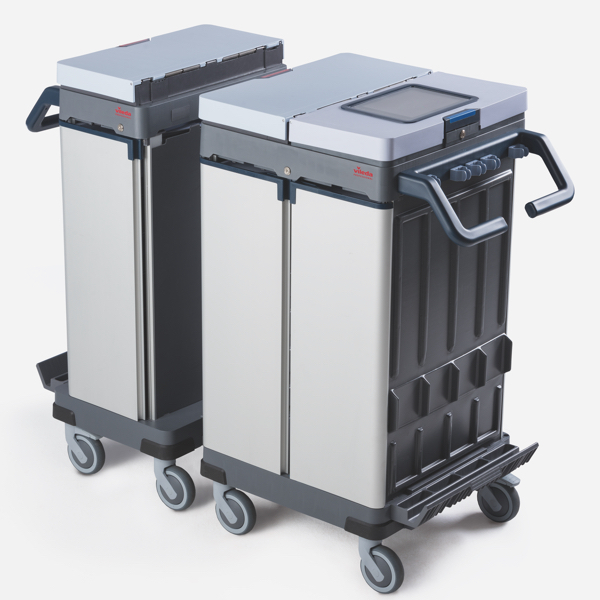 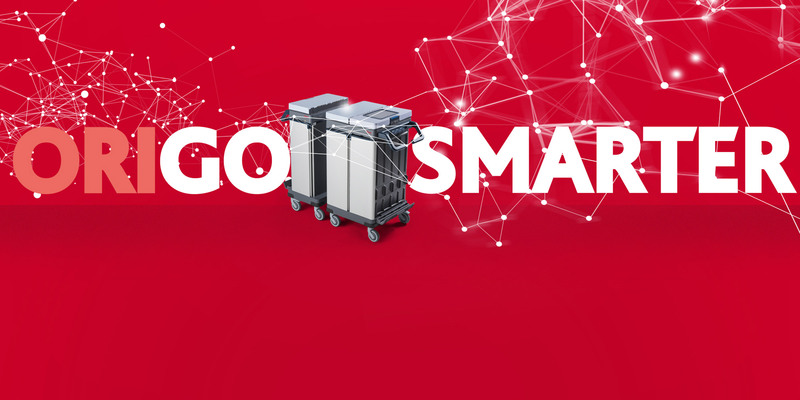 Our most hygienic, safe and modular trolley, designed to work in combination with digitalised cleaning processes – to further improve efficiency and reduce costs. 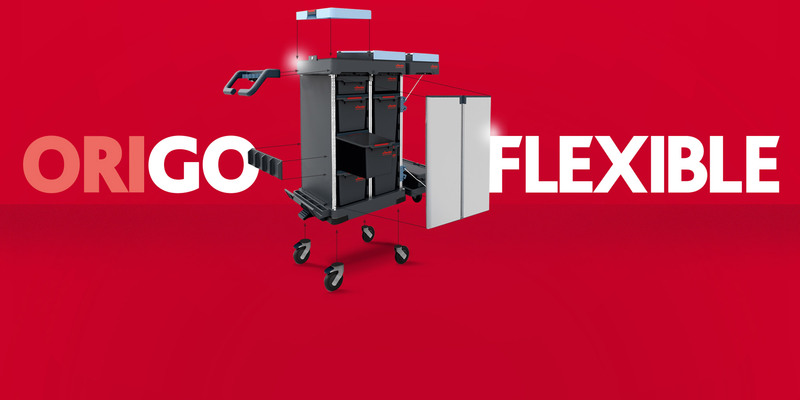 Satellite trolleys for waste, pre-prepared boxes or bucket & press systems. 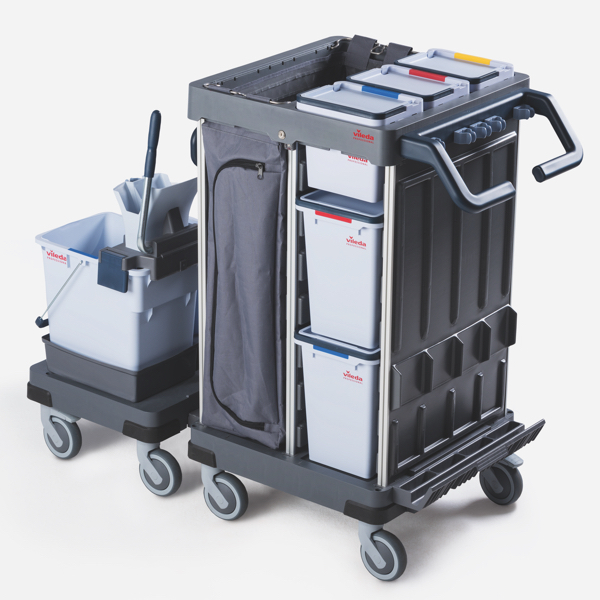 Vertical mop storage for multiple tools and motorised e-drives for fast, easy movement. 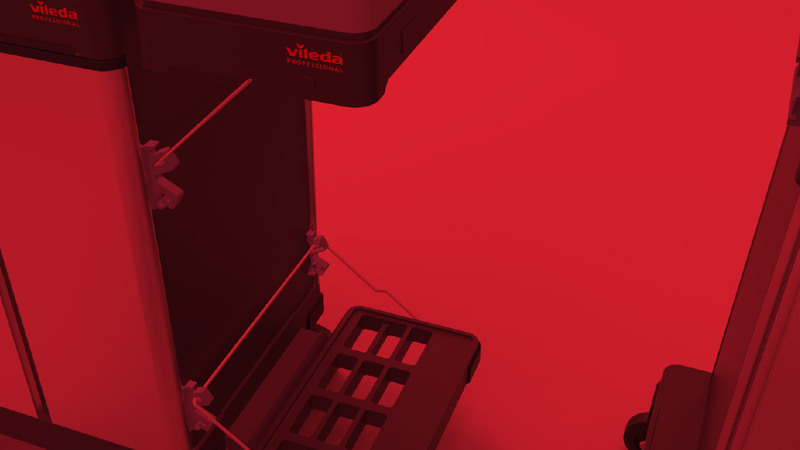 Hands-free lid opening ensures hygienic operation and clearly defined sections keep waste well away from clean and used materials. 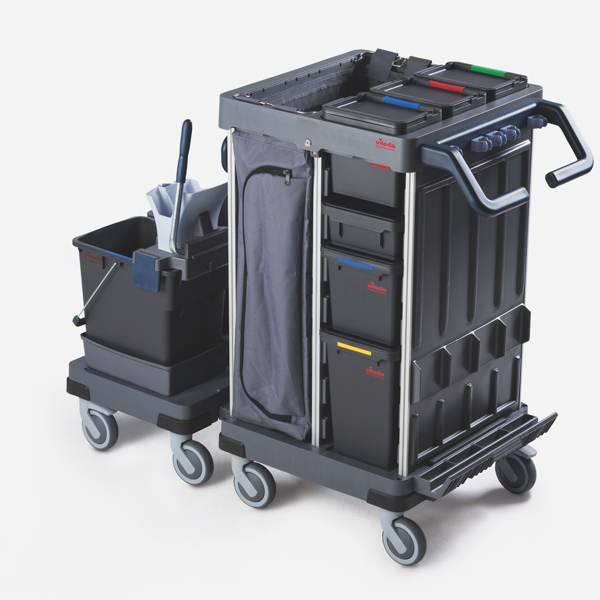 Fully colour-coded elements help you stay organised. 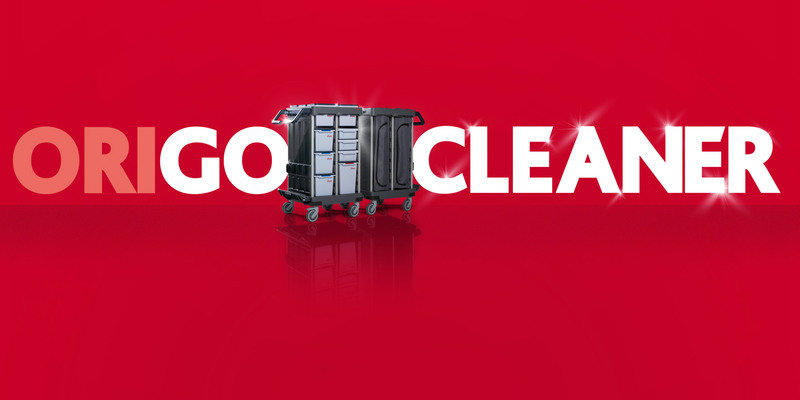 Lockable doors and lids keep your cleaning products and personal belongings secure, while soft-touch bumpers help protect clients’ walls and doorways. 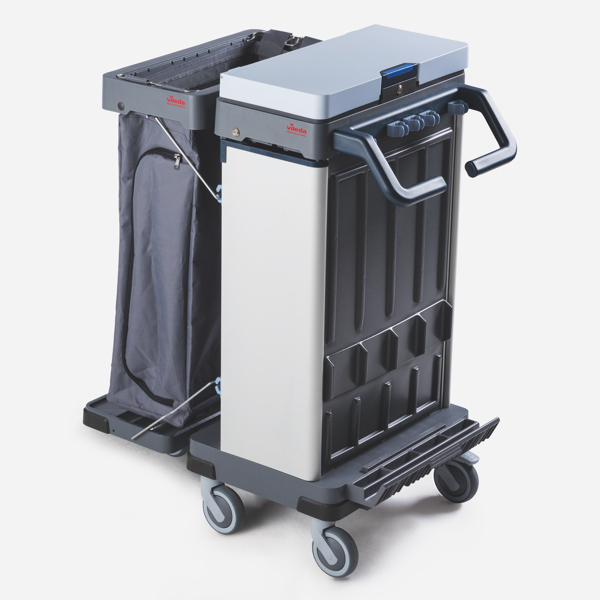 Your trolley is the central hub for cleaning tools and connected devices such as tablets, edrives, RFID tracking and more. 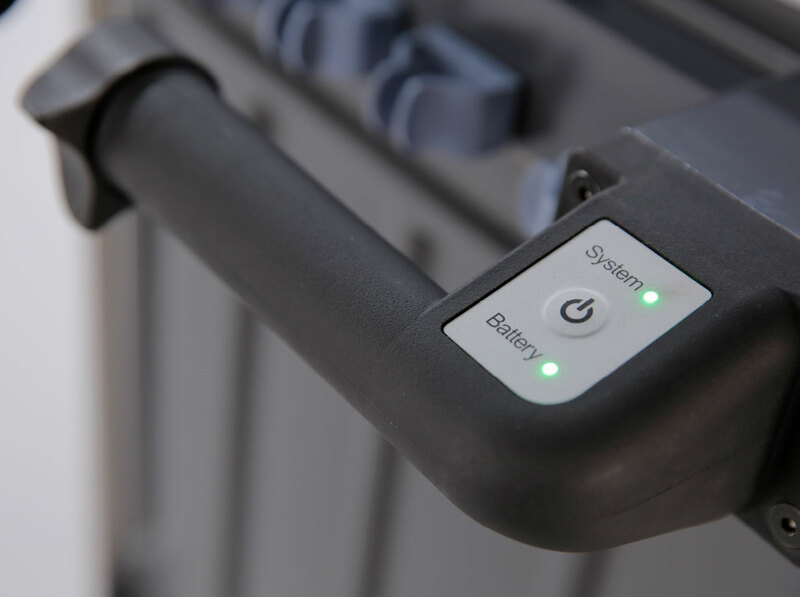 By using recycled materials and innovative logistics concepts to reduce our carbon footprint, we meet international specifications and help protect the planet. 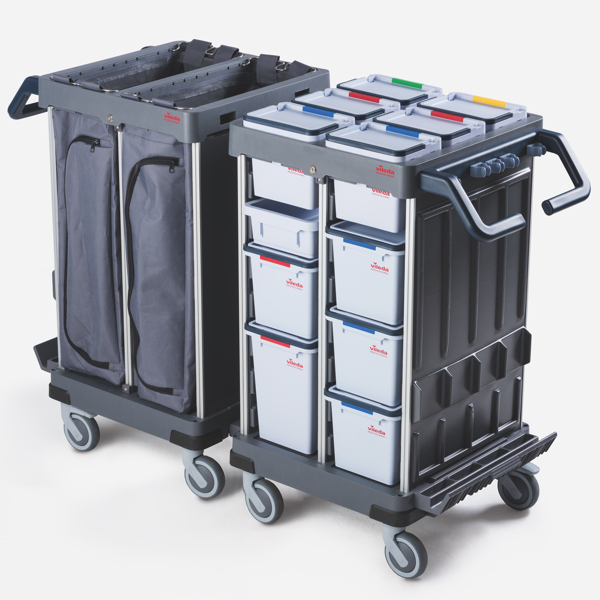 Individualise your trolley on a daily basis – simply choose the positions that work for you. 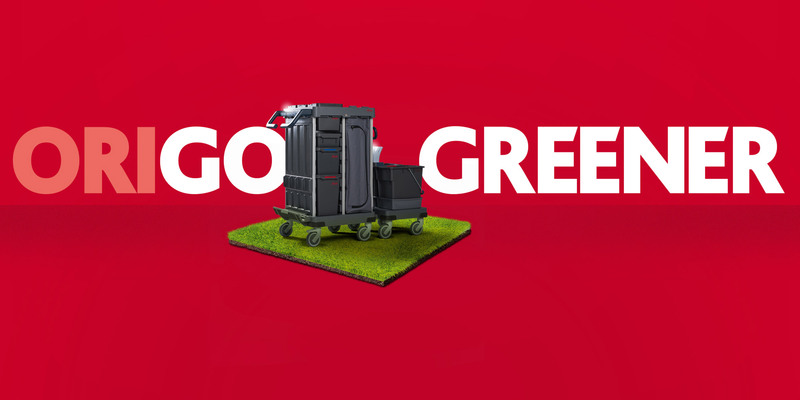 Buckets, boxes and waste can be rearranged very easily. 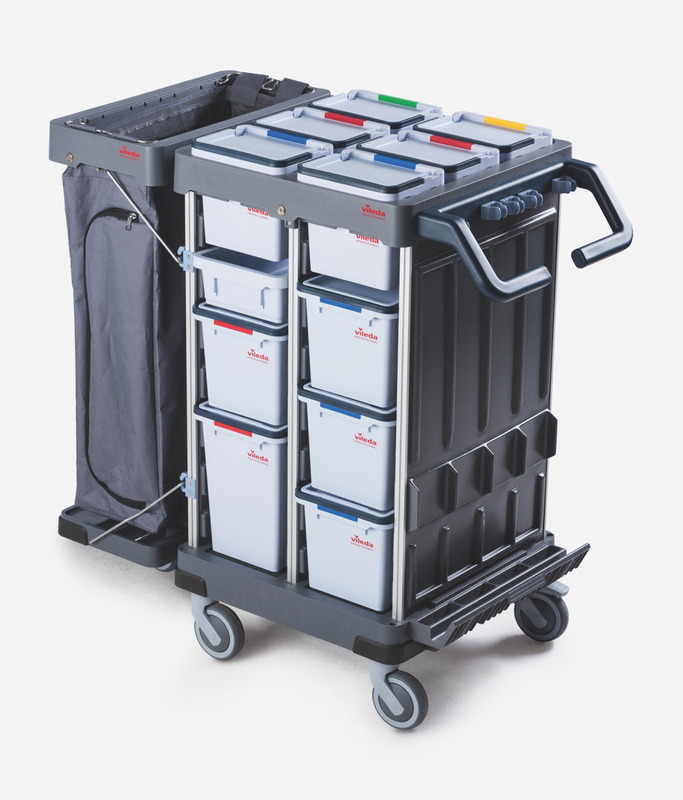 The versatile solution, combining generous storage plus fold-down waste section. 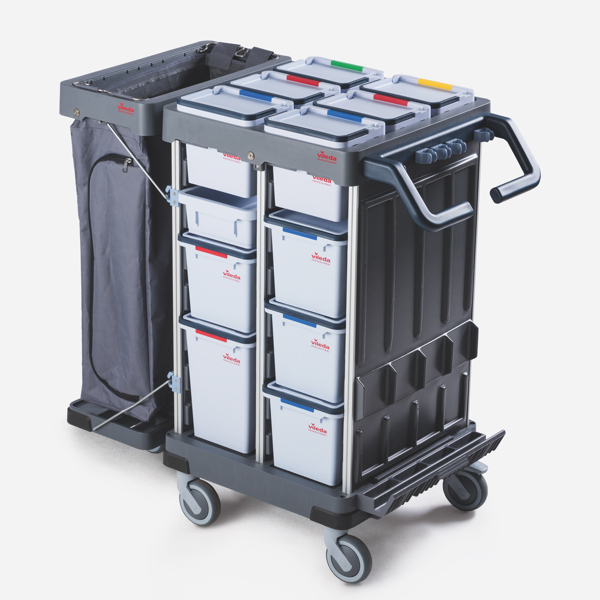 Our largest trolley, featuring a bigger satellite for large sites or high volumes of waste. 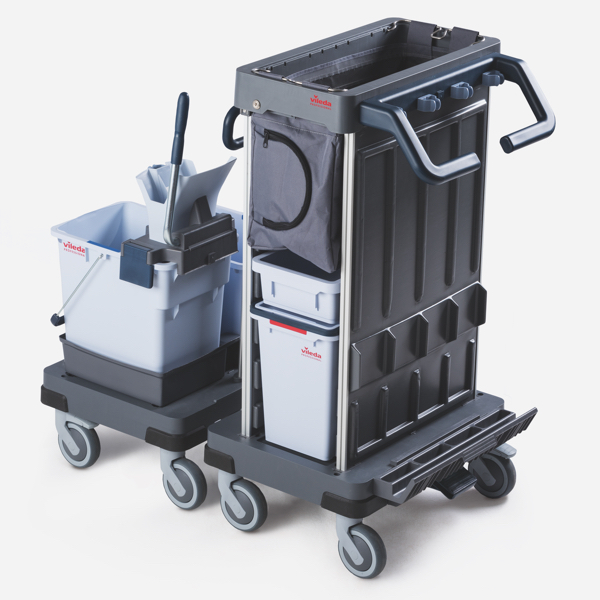 Compact and versatile bucket & press satellite for areas unable to accommodate a full trolley. 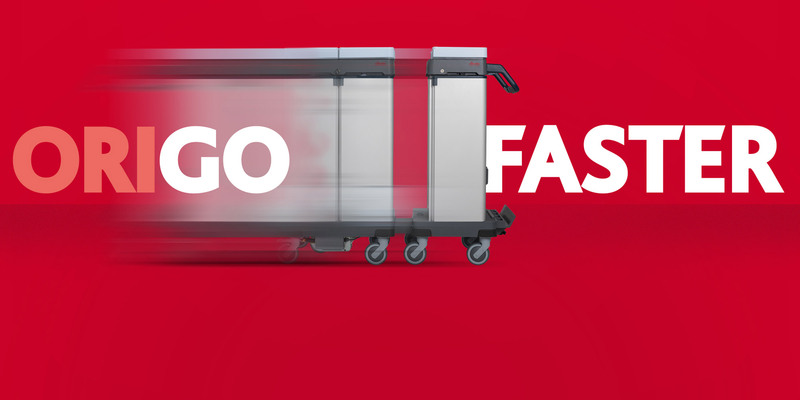 Every demanding space needs a perfect cleaning system that takes the spotlight: the new Origo 2. 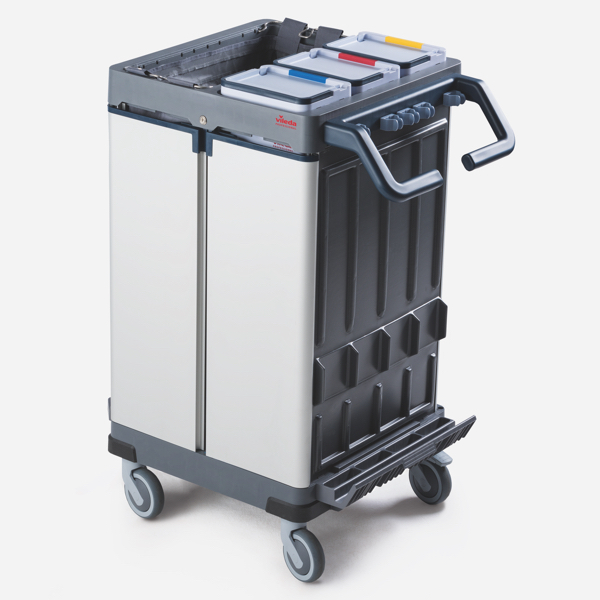 With many new features and even more configuration options.